A unique split-level two bedroom penthouse apartment with more than 1300sqft of space with large amounts of hidden storage. All of this located less than 5 minutes from London Bridge station. The space comprises of a contemporary open plan kitchen with granite worktops leading out to one of the two balconies. The other one overlooking the green of a peaceful park back towards The Shard. 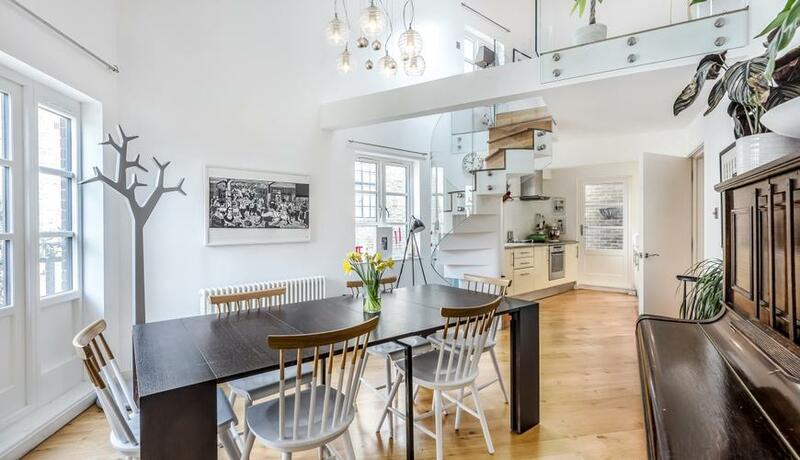 A state-of-the-art spiral staircase leads up to a second reception room perfect for a study or studio space. 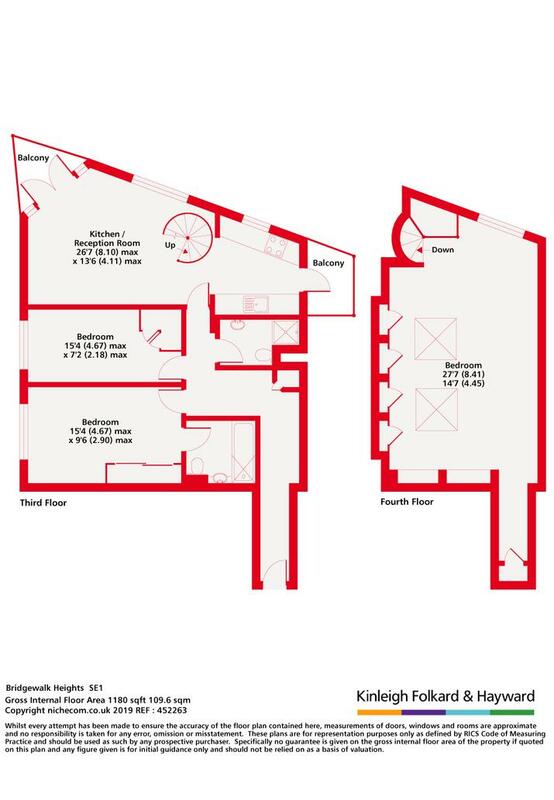 One wall is entirely storage that is hidden away perfectly but provides you with an unparalleled level of storage space in this central London Bridge area. The two bedrooms are both generous size doubles with built in wardrobe space to both and a smart en-suite to the master. This incredible location puts you only a stones throw from the quirky shops, bars and restaurants at Bermondsey Street. With Borough market around the corner as well, you really will be spoilt for choice.